We use this equipment to record and produce every show. Click on an image below for more information and read why we chose to use each piece of equipment. The paragraphs below contain affiliate links. Please consider shopping Amazon® using our affiliate links. Every little bit helps to offset our ever-growing debt load incurred each month due to our questionable life decisions. Every time someone makes an online purchase through us, Sarah McLachlan sings “Angel” We will be forever grateful. Well, maybe not forever but we certainly thank you. This mixer is perfect for our show. We use just about every input too. For about $150 it is well worth it. We didn’t need any onboard FX. We like the sliding fader switches, the aux send for a mix minus (See iPhone splitter below.) and the control room output. It also has a phantom power and power on/off in the back. 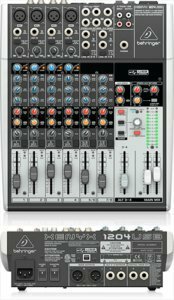 This mixer is a 2 bus design so you can record up to 2 different tracks at the same time which is perfect for phone interviews. The usb output lets us record straight into our laptop. Here is our on-the-street interview microphone. When you hear us out of the studio, this is what we use. 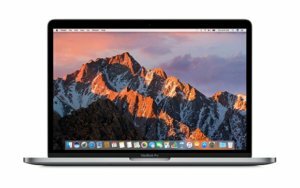 Think sure sm58 BUT 1/5 of the price. This mic is only $20! Haha. We record directly into an iPhone (See RODE i-xlr). 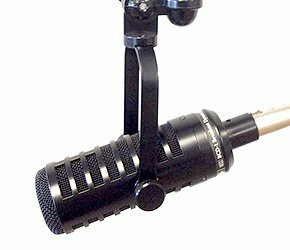 This microphone is the best kept secret for out-in-the-field recording. Studio quality while recording outdoors. Not too shabby. Connect an xlr microphone directly to your iPhone. 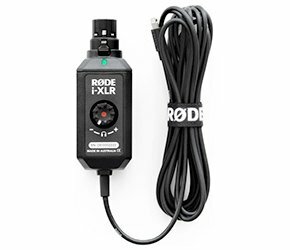 This is a bit pricey for some at $150 BUT it is completely worth it if you plan on any recording on the go. One end plugs directly into your dynamic microphone and the other end directly into your iPhone with a lightning plug. (iPhone 5 or newer). You can plug your headphones in for real-time quality monitoring so you know your sound will turn out great. It uses power from your phone to drive the microphone and it works flawlessly. (Make sure to charge your phone up.) That button you see is for volume/gain control and it’s a push button to start and stop recording when used with their free app. Can’t say enough about this little gem. 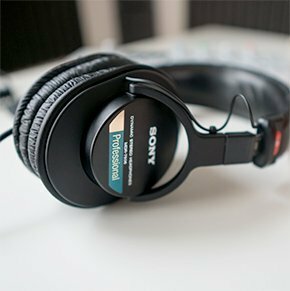 Classic SONY heaphones. After working in radio broadcasting for 15 years, my pair still work perfectly. It’s a necessary tool of the trade to get yourself a quality pair of headphones for your ear holes. Currently these sell for about $90-100$. Sure, you can get cheaper headphones but I can tell you these are used by most people in “the biz” for a good reason, they work and sound terrific. Our Control Center. Our mobile apps were built on this computer, along with this website, the graphics, the designs for our T-shirts and mugs and our Podcast, all produced and recorded and created on this machine. There is no substitute. We went with the 13″ and couldn’t be happier about it. This is our main microphone. It is a dynamic microphone. If you record in anything less than a perfectly sound-proof recording studio, you should use a dynamic microphone vs a condenser mic. We use a studio that has noise around us and our condenser mic was picking up the friggin heart beat of a worm in our neighbor’s garden. (It was a great mic but too much for our needs) We needed a decent dynamic mic and this fit the bill perfectly. You need to be “up on it” when recording but the trade off is virtually no room noise let alone that stupid worm. 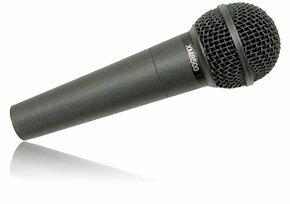 Currently around $170 it’s certainly more reasonable than the NPR studio mic, the Shure SM7B for around $400. It sounds great and didn’t break the bank. This splitter cable is the missing link for most operations. Notice the plug is a TRRS (Tip, Ring, Ring, Sleeve). The iPhone headphone jack has an extra ring. 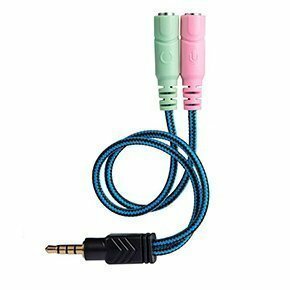 This is for the connection to the microphone input and headphone output. We use this to send the iPhone microphone to our mixer and we send 1 of our mixer outputs to this headphone jack. This enables everyone to hear the caller through the mixer and every microphone that is plugged into the mixer, goes into the phone so the caller can hear everyone. This is called a “Mix Minus” connection and makes you sound like the big dogs. We got ours for less than $7.00. If you have a newer iPhone that does not have the regular headphone jack, well, lucky you! You’ll need this additional adapter as well. It’s another $10.00 but works perfectly.